We all have a favourite dish at Wagamama and like to stick to something tried and trusted. Have you ever tried something other than katsu curry, pad thai or yaki soba? 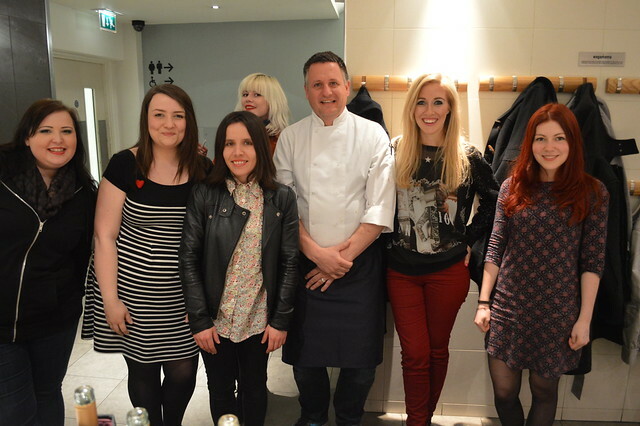 Before attending the evening we were asked what our favourite dishes were and then the ‘Way of Wagamama’ evening involved trying some fab new dishes. 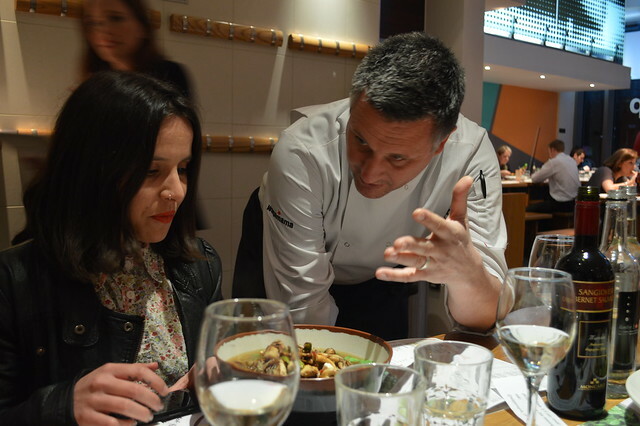 Executive chef Steve, and nutritional psychologist Christy Fergusson were on hand to help us and explain more about the food we were tasting. The ‘Way of Wagamama’ campaign was launched earlier this year to encourage customers to try dishes beyond their usual repertoire, by demystifying the sheer range of options on the menu and putting lifesize photos of the food and their components on the place settings. My favourite dish is the super hot Firecracker and it's what I normally opt for but I occasionally go for the katsu curry. Christy explained that my love of spice means I'm a thrill seeker. While I'm not into any extreme activities I am open to trying any types of weird and wonderful food and speaking in front of large groups so I would say that is spot on. The first dish that I got to try that evening was the chicken raisukaree, chicken stir-fried in a coconut curry sauce. It's one of Steve's favourites and contains tender marinated chicken breast stir-fried in a coconut and lime curry sauce with mangetout, peppers, red and spring onions, red chillies, ginger and garlic. It's served with rice and garnished with mixed sesame seeds, red chillies, coriander and lime. This was much more fragrant and delicate than a curry dish I would normally eat but I adored it. The fresh chilli added some oomph and I loved the crunchy mangetout and peppers. Steve talking to Laura about the mushroom ramen. The second dish I tried was the Duck Ramen. The duck was incredibly tender and just fell apart onto the spoon as I fished it out of the huge bowl. Steve explained that the duck is actually from the Rhondda and is slow cooked for over 7 hours there as there simply isn't the time to do this in store. I loved this dish despite its lack of spice. 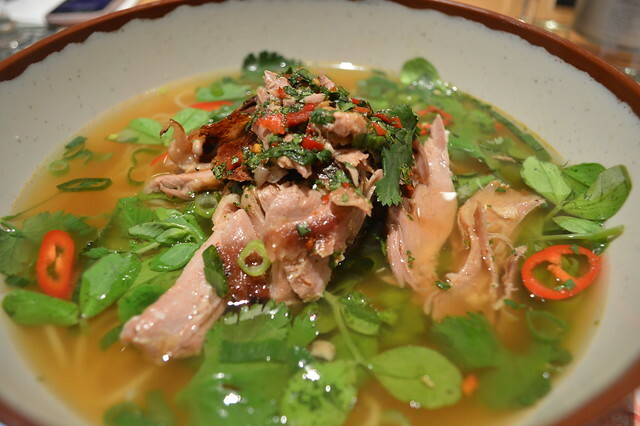 The coriander, citrus ponzu sauce and distinctive duck added more than enough flavour to the dish without the need for too much chilli. I would definitely eat this again. I had such a nice time at the event, it was so relaxed and fun. Steve was such a nice guy and really looked after us, he even managed to get us to eat coconut ice cream covered in katsu curry! I've definitely been inspired to try something new next time I eat there. Do you stick to your favourite dish when you eat out? 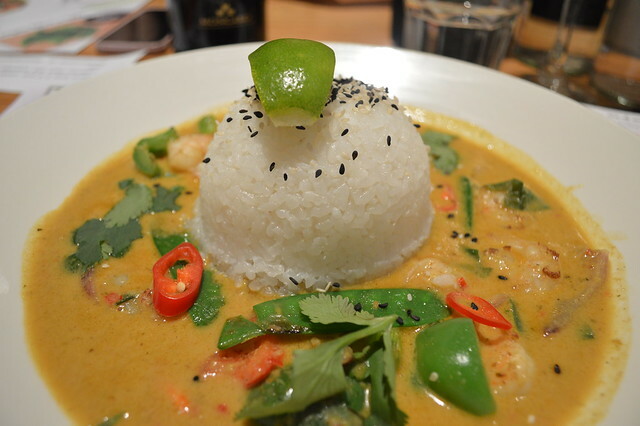 Will you be trying something new on your next visit to Wagamama? I don't think you can beat Wagamamas! I adore the katsu curry like so many other poeple! Everyone's Wagamama posts have got me drooling! I live for the yaki soba, pad thai but I love love the raisukaree. It's got such a kick but is so tasty. A trip to my favourite restaurant is long over due! Ive never been to wagamamas... I so wish I do tho haha! This sounds like a great event, that duck dish had me drooling! It was bonkers but because the curry is coconutty is was oddly nice. Ps I've never been to Wagamamas! Same here, you know what you're getting at a chain. It's well worth a try and always a good option if you're in a city and not sure where to go. If I go away for the weekend I go somewhere I know I like the first night and once I know where I'm going and get some recommendations I try something new.